AMMONNEWS - A suspected killer of a Lebanese woman, whose body was found in her Dubai Marina flat, was arrested by police in less than 18 hours of the crime. 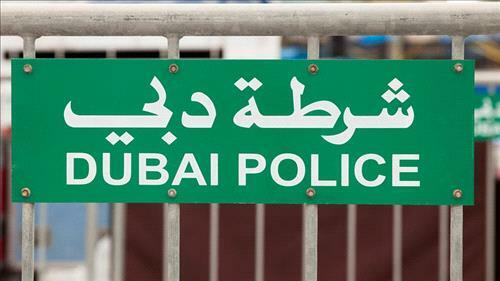 The police said the suspect, also a Lebanese and said to be her former boyfriend according to local media, was apprehended in record time thanks to the alertness of Dubai Police. “The incident happened on Thursday. The woman welcomed her friend, who is a resident in another emirate, into her flat in Dubai. A heated argument occurred between the two during which he punched her and broke her nose, causing internal bleeding that led to her death,” Lt-Colonel Faisal Al Qasim, head of the Dubai Police Media Department, confirmed to Gulf News. The suspect immediately left the apartment. The victim was discovered by her workmate who went to check on her after she had not answered phone calls throughout the day. Gulf News reported that the couple argued over a Facebook post comment that the victim wrote, and the suspect reportedly confessed to having been under the influence of alcohol. “Dubai Police officers have the ability to solve any crime in the city in a record time. We have recorded a massive drop in the number of murders but still incidents like this case happen over personal disputes,” Al Qasim was quoted as saying.